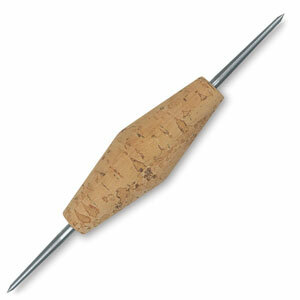 This cork-handled etching needle has traditional, double-edged steel tips and a comfortable grip. The handle is ideal for both beginning artists and those who have trouble grasping a thin etching needle. 6" long.